It’s waffle time! 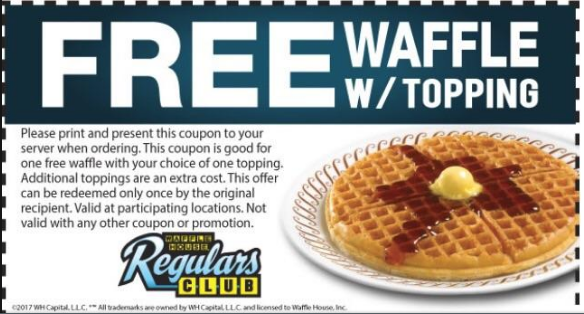 Grab a chance to get free Waffle w/ topping at Waffle House. It’s totally free and there’s no need to purchase anything. It’s intended for reward members so keep that in mind. Terms may vary by location.